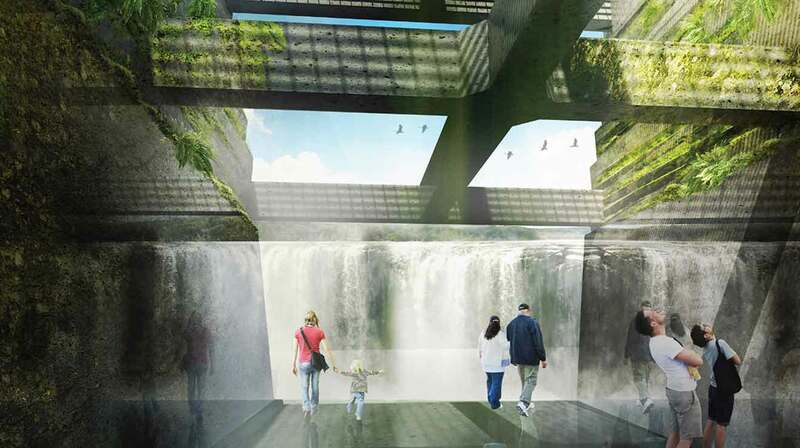 The Willamette Falls Legacy Project is passionately committed to creating a public riverwalk along the banks of the Willamette River, allowing residents and visitors alike to experience the breathtaking majesty of Willamette Falls. This uniquely beautiful natural resource and historic and cultural landmark has been off-limits to most Oregonians for over 150 years. We are working to change that. An independent proposal to incorporate a professional-caliber whitewater channel into riverwalk design has been brought forward by a group of enthusiastic supporters, demonstrating the power of Willamette Falls to capture peoples' imagination. Building a manmade whitewater park at Willamette Falls is an exciting concept that still has many hurdles to clear to demonstrate its viability. Read the full staff memo and public comments.